Julie C.T. 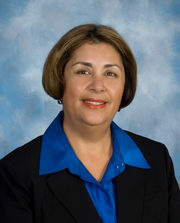 Hernandez joined Management Partners after spending almost 20 years in public service. Julie has skills and knowledge in a wide range of areas including budgeting, public works, personnel, risk management, information systems, city clerk operations, economic development and redevelopment, property management, public information office, and administering film permits. Julie served as Senior Management Analyst for Economic Development and Redevelopment in Moorpark, California, and was the Assistant City Manger for the City of Santa Paula. Prior to her service in Santa Paula, she spent ten years with the City of Oxnard where she held positions of increasing responsibility.